引用元：It’s official: Japan has named its next era Reiwa (令和). 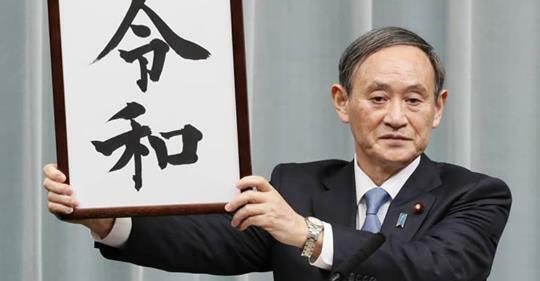 引用元：Chief Cabinet Secretary Yoshihide Suga revealed the name saying, ” The new era name is ‘reiwa’,” and how it’s written in Kanji characters. Those letters come from Manyoshu, the oldest existing anthology of Japanese poetry.